Staying well organised is reasonably easy if you make a conscious effort to develop a system for it. The most important thing is to keep up with bookkeeping tasks as you generate them. When they’re fresh in your memory, it is easy to remember to enter your expenses and file your receipts. The longer you wait to take care of such things, the greater the risk that you’ll forget about them. Create a workstation environment and filing system that makes it painless to stay organised. A paper filing system is one possible solution. Nowadays, it’s also possible to create paperless filing systems. Digital document sharing facilitates easier bookkeeping if part of your team works remotely, or if your business involves significant amounts of travel. It’s also smart to have digital backups of all your important documents in case of a disaster such as a fire in your office building. Many bookkeeping tasks can be automated. It might not be easy to figure out how to get them set up; but completing the setup for automation will save you massive amounts of time, money and frustration in the future. Mastering the art of automation setup isn’t a strict necessity, even if you plan to do all your own bookkeeping. This is something that would be worth paying an experienced professional to help you get set up with. However, it’s essential to learning how to use the relevant apps, programs and tools that empower the automated systems so you can keep everything running smoothly. Bookkeeping isn’t just helpful for understanding how to calculate the total amount of taxes you owe. It’s also an essential tool to help you with decision making. You’ll have a hard time turning a profit if you don’t understand where your income is coming from, and which of your expenses are eating up that income. Unless you’re the only person involved with your business’ expenses, you’ll need to be proactive about communicating with your colleagues on this topic. Make sure they submit any necessary expense reports or receipts to you or the person you’ve delegated that responsibility to. Also be sure to maintain regular communications with your tax preparer if you’re working with someone else in that capacity. Doing your own bookkeeping can be time consuming. You may need to allocate several hours each day to this task alone. Time management skills are crucial for staying on task. If possible, you’ll want to delegate less important work to a colleague to handle to allow you to focus on your highest-priority financial tasks and information. These are the top 5 skills you’ll need to acquire if you plan to handle your own business bookkeeping. If you don’t already have these skills, the easiest way to develop them is taking classes. It’s possible to take convenient bookkeeping courses online that will easily get you up to speed on what you need to know. Classes are not your only option; it’s also possible to pay a knowledgeable bookkeeper or accountant to teach you the essentials. Some accounting software companies also make tutorials and training available for their products. This can be a huge help when you’re getting started with using a new (or new to you) accounting software product. 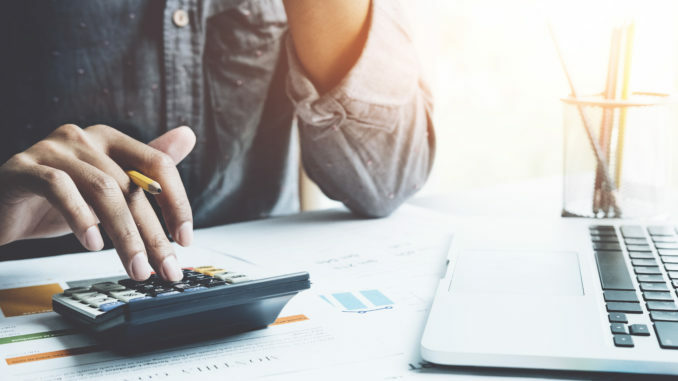 Whichever method you choose, you’re sure to find it satisfying to take responsibility for your business’ bookkeeping and financial strategies.